Versatility is the name of the game when it comes to wings. Oven or slow cooker, fiery or mild, entree or appetizer, every day or special occasion, these are sure to hit the spot! Place chicken wings on foil-lined baking sheet. Liberally season with salt and pepper or seasoning salt. Bake 15 minutes at 350, turn wings and bake and additional 10 minutes. While wings are baking, add 1/2 c. Suan’s® Scotch Bonnet Pepper Jelly, 3/4 c. honey, 1/4 c. hot sauce or Sriracha, and 1/4 c. lime juice to small sauce pan. Bring to boil, stirring frequently. Boil for 10-15 minutes or until sauce thickens to your liking. Set oven to broil. Drizzle sauce over wings. Broil 3-7 minutes or until sauce caramelizes to your liking. 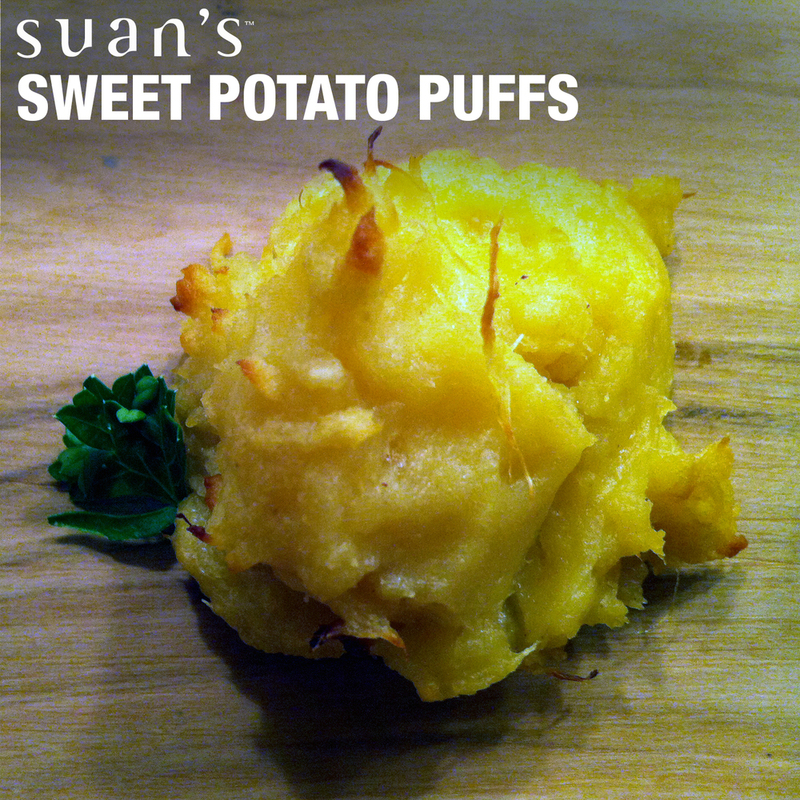 Serve with your favorite Suan’s® dipping sauce. Add 1/2 c. Suan’s® Scotch Bonnet Pepper Jelly, 3/4 c. honey, 1/4 c. hot sauce or Sriracha, and 1/4 c. lime juice to a slow cooker. Remove wings from slow cooker. Transfer cooking liquid to small sauce pan. Bring to boil, stirring frequently. Boil for 10-15 minutes or until sauce thickens to your liking. Set oven to broil. Add wings to foil-lined baking sheet. Drizzle sauce over wings. Broil 3-7 minutes or until sauce caramelizes to your liking. 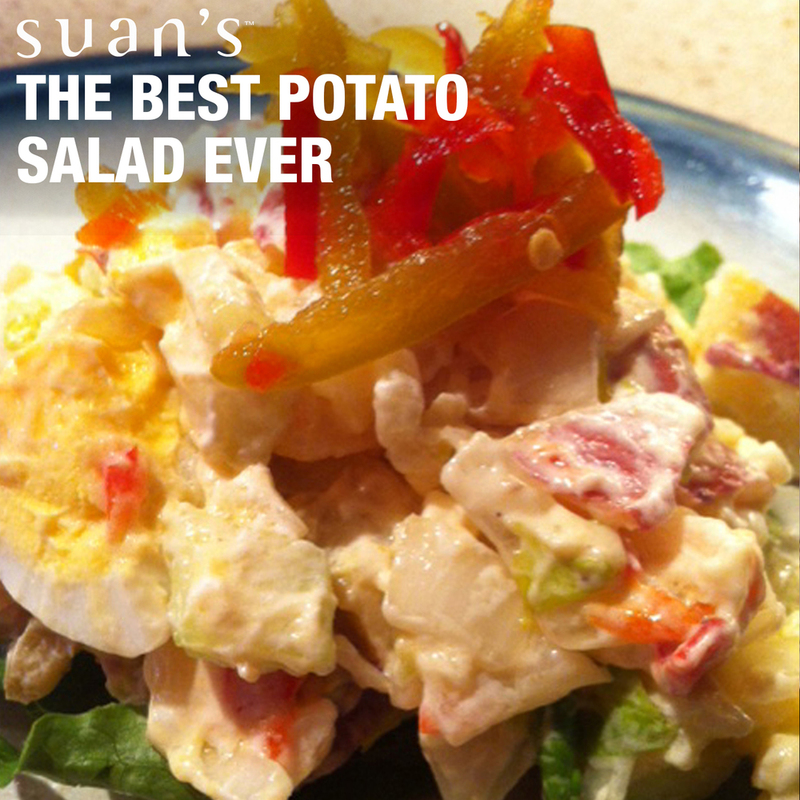 Serve with your favorite Suan’s® dipping sauce. Combine Garden Club Plum Jam and Head Country Bar-B-Q Sauce in slow cooker. Add meatballs. Cook on low for 2 hours. Combine ground beef, onion, breadcrumbs, parsley, garlic, Head Country seasoning and eggs, mixing well and incorporating. If mixture feels dry, add Head Country Bar-B-Q Sauce until it becomes easy to form meatballs. Form meatballs using a tablespoon, then roll the mixture between your hands to make a ball. Line on a cookie sheet until they are all rolled. Place meatballs in a hot sauté pan, cooking on medium-high heat until they’re browned. After 5 minutes, turn to brown both sides. Turn heat down to medium, and cook until meatballs are cooked through. This will depend on the size of your pan and size of your meatballs. Check for doneness. Sweet and Spicy Sauce To assemble sliders, add 1 or 2 meatballs to halved rolls. Top with coleslaw, Griffin’s Jalapeno Mustard or pickled jalapeno peppers. Around the holidays, Suan’s® Scotch Bonnet Pepper Jelly should be a pantry staple. 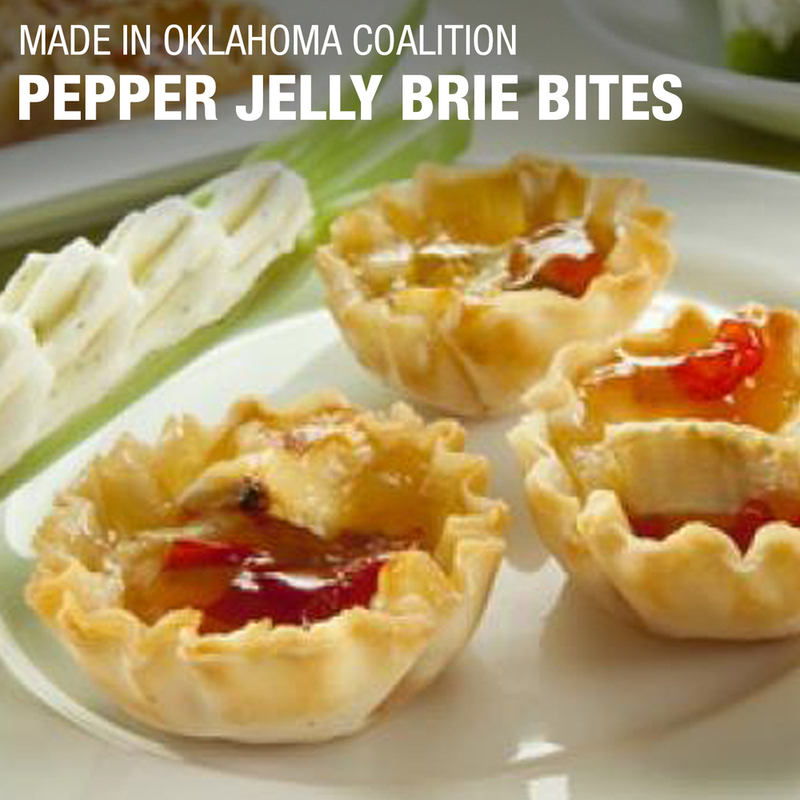 When family or friends drop by, set out a block of cream cheese topped with pepper jelly, and you have an instant appetizer. For something a little more elegant, try these beautiful hors d’oeuvres for a Christmas or New Year’s Eve celebration. Try this decadent riff on a Waldorf Salad! 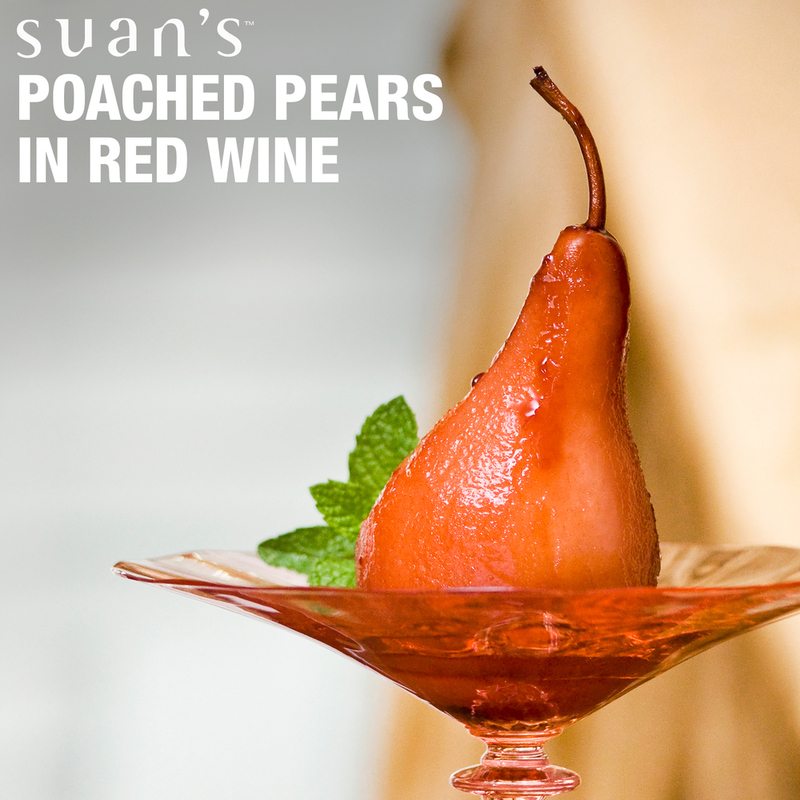 Combine Suan’s® Poached Pears with pecans, grapes and celery. Serve on a bed of lettuce with a wedge of blue cheese. Combine 2 tablespoons Suan’s® Scotch Bonnet Mango Lemon Fruit Butter and 2 tablespoons red raspberry vinegar, salt and pepper to taste. 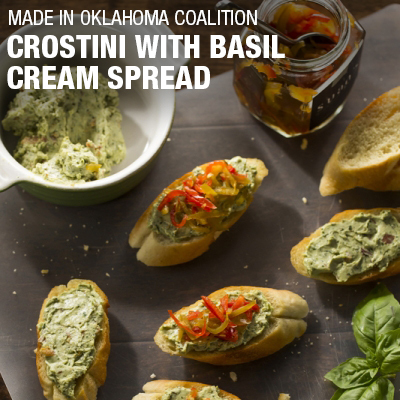 Drizzle in ¾ cups of extra virgin olive oil, add crumbled blue cheese to taste, check and adjust flavors. Recommended use: tossed green salad or fruit salads. Rinse wings and place in a large bowl which ¼ cup of salt that has been dissolve in enough cold water to cover wings. Cover tightly, refrigerate several hours or over-night. Remove from salt water and discard, pat wings dry with paper towels. Place wings in large re-sealable plastic bag: add enough Suan's® Scotch Bonnet Pepper Relish, to cover. Return to refrigerator for 2 hours, turning at least once. Remove wings and shake off excess relish and discard. Grill as normal. Coarsely chop 1 small ripe tomato, mix into Suan's® Scotch Bonnet Sweet Tomato Jam, drizzle balsamic vinegar into mixture to taste. Add salt and pepper if desired. Mix ½ cup Suan's® Scotch Bonnet Pepper Jelly with ¼ cup Di Jour mustard, for added flavor and heat mix Suan's® Scotch Bonnet Pepper Flavor Sauce into mixture to taste. Combine Suan's® Scotch Bonnet Onion Preserves with horseradish, mix well, drizzle in beer to desired thickness and taste. Stir coconut milk with a fork until smooth, combine with Suan's® Scotch Bonnet Pineapple Cinnamon Jam to desired thickness. Combine Suan's® Scotch Bonnet Mango Lemon Fruit Butter with crumbled blue cheese; slowly drizzle in extra virgin olive oil, salt and pepper to taste. Combine Suan's® Scotch Bonnet Flavor Sauce with your favorite honey to taste. In bowl, flake fish with a fork. Add onion, celery and Suan’s® Scotch Bonnet Pepper Relish. Mix together sour cream, mayonaise and curry powder. Lightly toss with boiled eggs and fish mixture. Tasteful tip:This is a great recipe for any kind of leftover grilled fish. the seasoning adds to the flavor! You also can dress up this recipe by serving it in a stuffed tomato. Cut out tomato core, fill with salad and serve on lettuce leaf. Peel pears without removing stems, placing in a deep saucepan. In saucepan of melted Suan's® Scotch Bonnet Pepper Jelly, add wine, lemon juice, sugar, cinnamon, lemon zest, vanilla bean and enough water to cover pears, pour over pears and simmer very slowly until just tender 10 to 20 minutes. 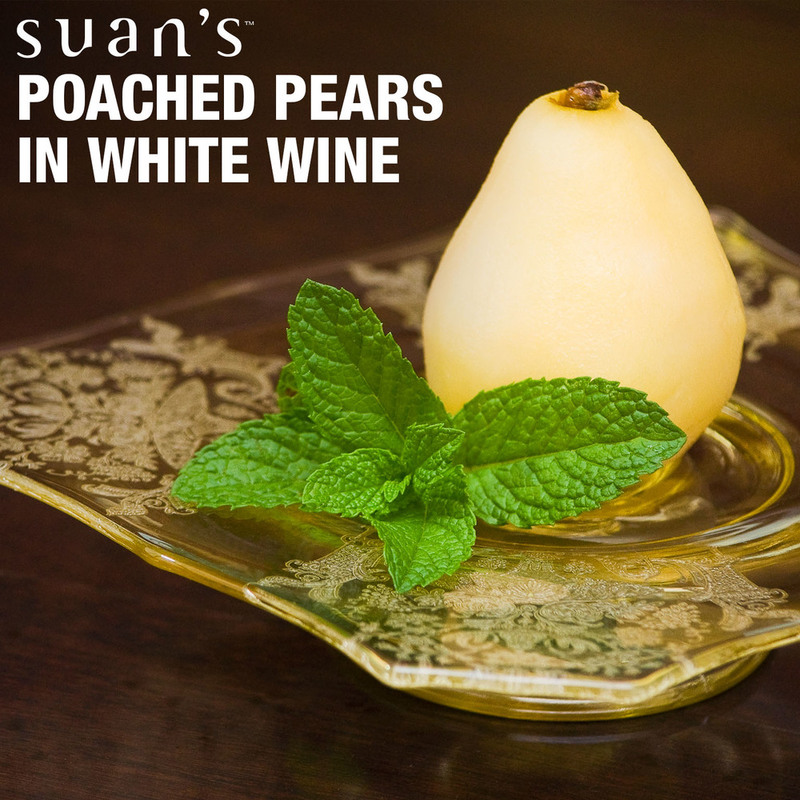 Remove pears carefully to a serving dish, rapidly boil down liquid to about 1 cup, pour over pears and serve cool to cold topped with whipped cream. These pears will be spicy; you may reduce the “heat” by reducing the jelly in half or increase the “heat” by the amount of jelly used. 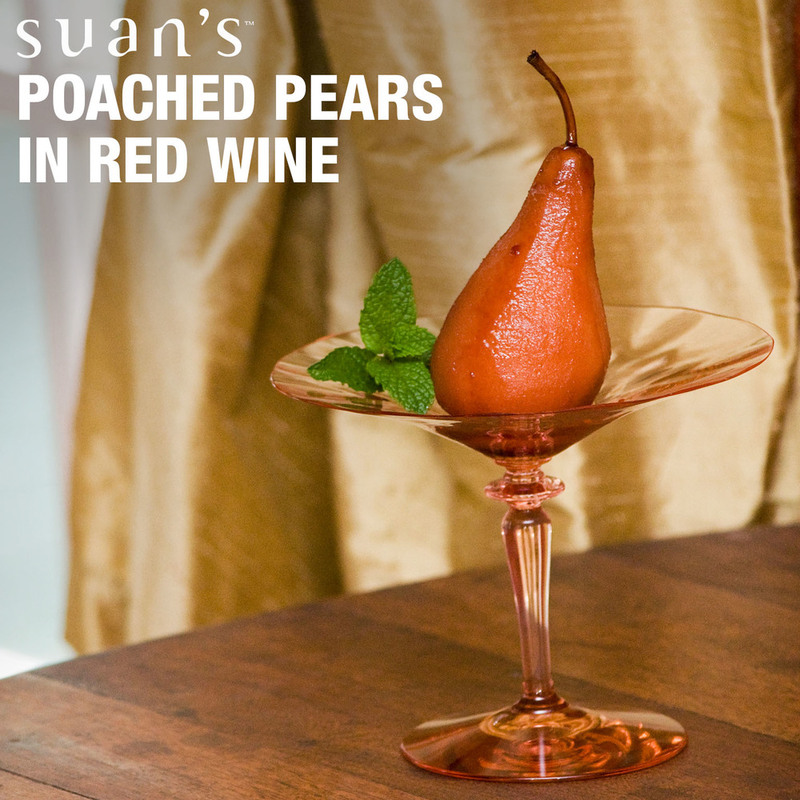 Peel pears leaving stem intact, place in heavy sauce pan, add Suan’s® Scotch Bonnet Pineapple Cinnamon Jam, the juice and zest of one lemon, cinnamon stick, peppercorns, and white wine. Add water to make sure pears are covered, if necessary. Bring to a boil, then reduce to simmer for 10 to 20 minutes until just tender when tested with sharp fork. Chill in poaching liquid. 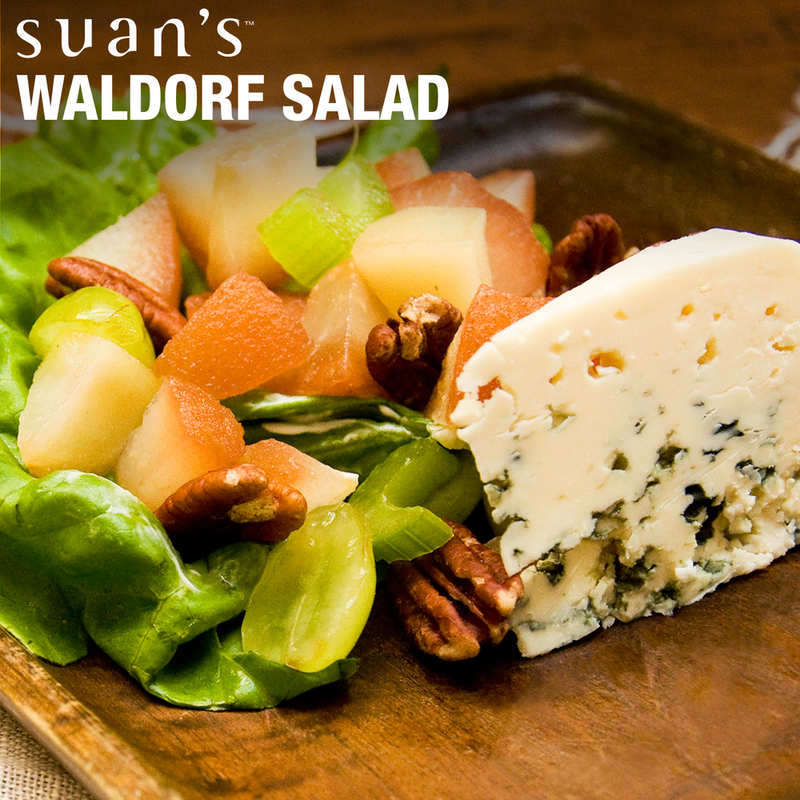 Tasteful tip: Combine these pear recipes for a delicious Waldorf salad. Poaching liquid may be saved for glaze. Pears can be sliced and served on their own as a salad with a wedge of blue cheese and a dressing made of ½ and ½ sour cream and mayonnaise or whole as an accompaniment to main dishes such as Ham Loaf.